NEW YORK, October 3, 2018 – Spring Power & Gas, an eco-conscious energy retailer servicing residents in the states of New Jersey, Maryland and Pennsylvania, is excited to announce their new partnership with Alliance for a Living Ocean. The partnership promotes sustainability through Spring Power & Gas’ support of the various Alliance for a Living Ocean initiatives, including environmental education programs, research and active participation. Founded in September of 1987, Alliance for a Living Ocean’s primary goal was to locate the source of pollution causing a 50-mile garbage slick (consisting primarily of medical waste) to loom off the coast of the New Jersey shore and to put an end to ocean dumping. Since its inception, Alliance for a Living Ocean has continued efforts to put a stop to pollution and protect the coastal environment of New Jersey. With the help and hard work of dedicated volunteers, Alliance for a Living Ocean strives to keep New Jersey beaches, shores and oceans clean. The organization holds weekly events to provide education and outreach to the local community throughout the summer, as well as annual beach cleanups. They also orchestrate larger-scale events, including the ALO LBI Longboard Classic and Barnegat Bay Day. Spring Power & Gas is pleased to partner with Alliance for a Living Ocean. Their efforts in educating locals and raising awareness about the need to maintain a healthy coastal environment provide a great foundation for creating a more knowledgeable and eco-minded community. Spring Power & Gas’ partnership with the Alliance for a Living Ocean demonstrates the company’s unceasing efforts to support organizations that align with its own values of environmental accountability and sustainability. Alliance for a Living Ocean’s educational programs, research, events and volunteer opportunities all serve as a great vehicle for educating locals and raising awareness about the importance of protecting the New Jersey coastline, bays and oceans. “Spring Power & Gas is pleased to partner with Alliance for a Living Ocean. Their efforts in educating locals and raising awareness about the need to maintain a healthy coastal environment provide a great foundation for creating a more knowledgeable and eco-minded community,” says Richard Booth, president of retail operations, Spring Power & Gas. 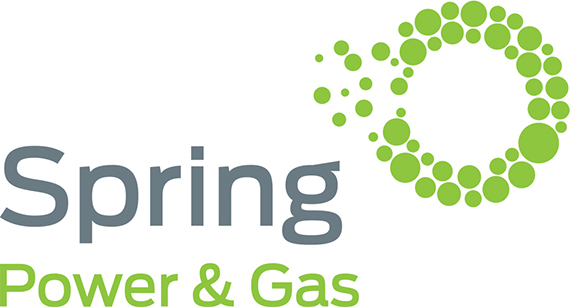 Spring Power & Gas is an energy retailer dedicated to providing innovative energy solutions for electricity and gas supply. Spring Power & Gas focuses on environmentally conscious energy solutions backed by a friendly and efficient service. As a company, they pride themselves on transparency and the ability to answer any question about the energy industry and their sustainable products. To learn more, visit www.springpowerandgas.us or call 1-877-208-7636. Visit http://www.livingocean.org/ to learn how to get involved with ALO.